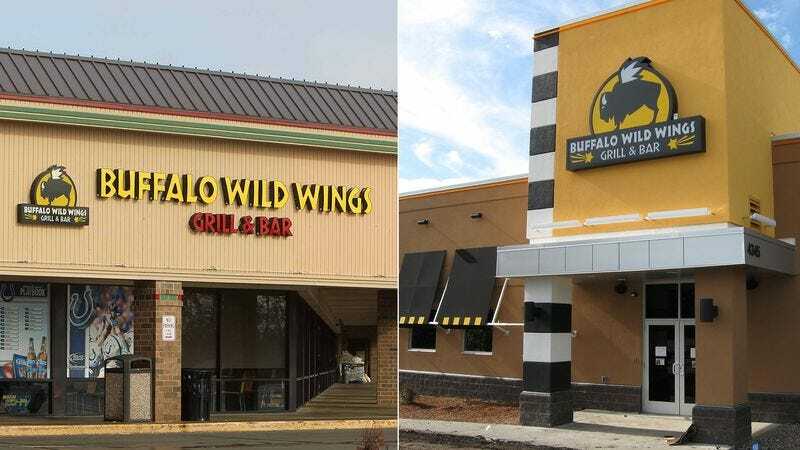 PEORIA, IL—Sources confirmed Monday that the unprecedented prosperity and wealth exhibited in Peoria, IL is evidenced by the vibrant and economically robust town’s ability to sustain not one but two Buffalo Wild Wings locations. “Normally, having more than one Buffalo Wild Wings in a single municipality isn’t remotely feasible from an economic standpoint, but in Peoria, which is essentially the very definition of a boomtown, it’s almost expected,” said University of Chicago economist Robert Lucas, adding that one need not look any further for symbols of citywide prosperity than the Buffalo Wild Wings at 5121 W. American Prairie Dr. and the Buffalo Wild Wings at 833 W. Camp St. “If you consider the kind of thriving local economy it takes to support such an extravagant luxury, it’s clear that Peoria has an abundance of riches that puts ‘wealthy’ cities like Oslo, Abu Dhabi, and Tokyo to shame. This truly is the city of gold.” Lucas went on to compare Peoria’s enormous wealth to its sister city of Bloomington, IN, whose financial largess is embodied by the town’s five McDonald’s locations.